In a hurry? Here is a quick editor choice of the best dash cam under $100, under $200 and under $300 on the market today. What is the Best Dash Cam for your Car? If you’ve ever been involved in a car accident or had a negative interaction with law enforcement, you’ve probably wished that there were a way for you to have recorded the incident. Or maybe you’re just going cross country and need something that can take photos of scenic views on the fly. Whatever the case, dash cameras can help you with these issues, and much more. Below are 15 of the best and latest dash cams to the market, outfitted with great software that comes with updates and the latest GPS configurations. After that, don’t forget to check out the Buyer’s Guide and conclusion to see which products come with the highest recommendations. The Vantrue N2 Pro Uber is great for people that must rely on their dash cams for passenger monitoring purposes. It has cams for both the front and back, and records in a beautiful 1440p. You can also save your data with just the push of a button, a good tool for emergencies. The Street Guardian is a camera with great photographic capabilities. You can take photos fast, with just one press of the camera, and save them to the SD card. It also won’t attract dirt and dust; you’ll quickly notice the few occasions where the device will need to be cleaned. 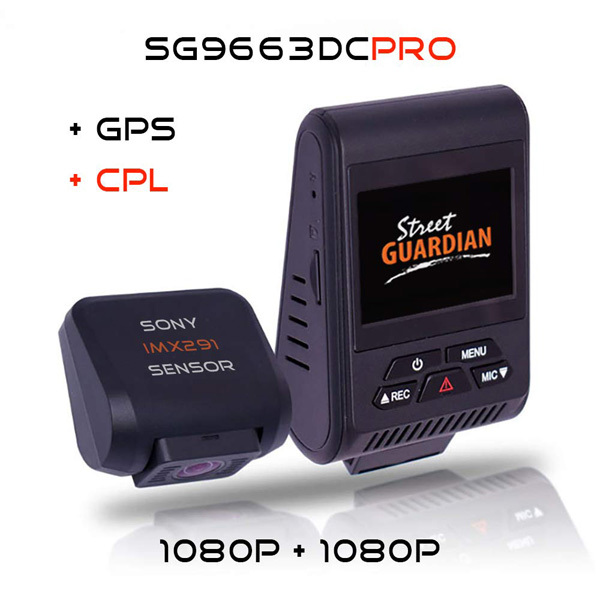 Included in the category of high-end dual dash cam cameras, the Street Guardian SG9663DC has front and rear camera recordings in 1080p (full HD) at 30 fps. Using the Novatek 96663 Processor and the Sony IMX291 STARVIS CMOS Sensor will undoubtedly produce extraordinary visuals. The Thinkware F800 is great for people that drive heavily upgraded automobiles, such as those with tinted windows. Your view won’t be obstructed, and the camera performs well in low light settings. There are two cables for different power sources, which will enable you to hardwire the setup if you don’t want cord getting tangled in the passenger box. 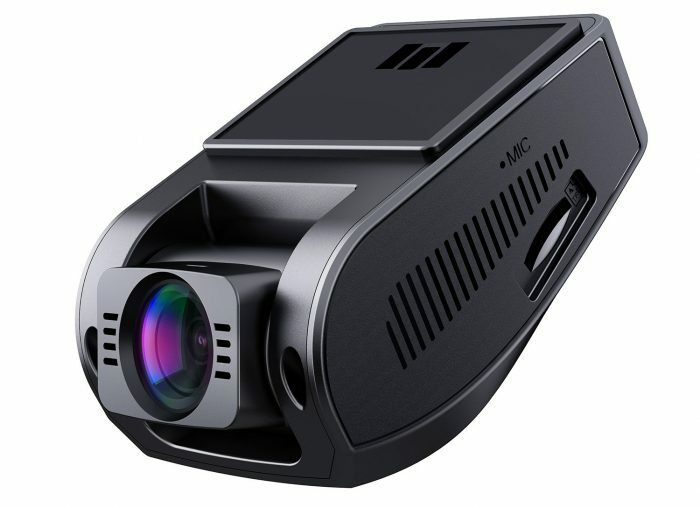 The Thinkware F800 Pro, with its motto Brighter, Smarter, and Energy Efficient, has become one of the best dash cams and is one of the many available options on the market. The YI is a high-resolution cam with great battery life. Most dash cams being sold now haven’t improved in terms of wireless battery power, so the two hours that you’ll get out of this brand is much appreciated. 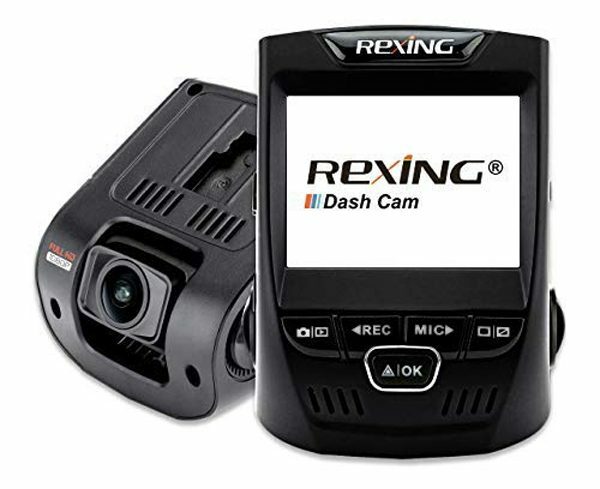 The Rexing V1 is great for those that plan of hiding their dash cam from people that come close to the vehicle. You can easily install it near the windshield in a way that hides it in plain sight. Additionally, you can go through your recordings front the device itself. 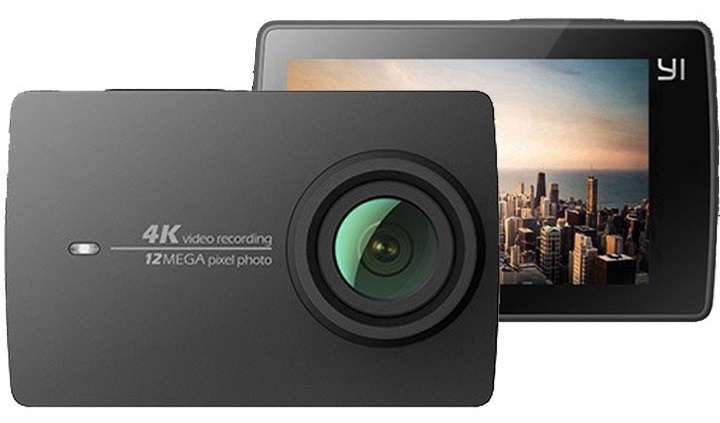 If there’s anything that you recorded that needs to be seen fast, this is a great cam for you. 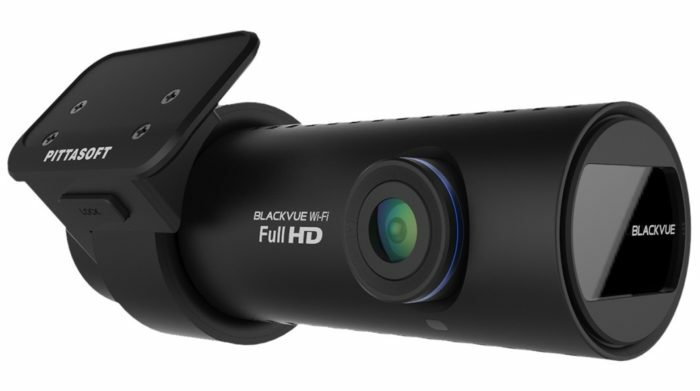 The BlackVue DR750S-2CH is a video lover’s dream come true. Not only doesn’t it process crystal clear resolution, but plays in a fluid 60 frames per second. 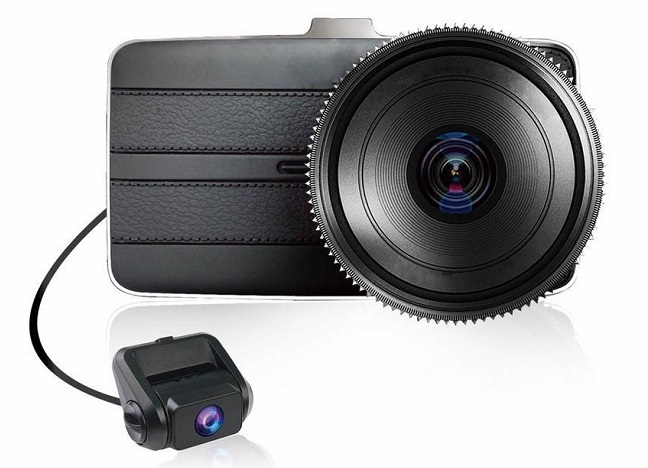 Because of this, it’s a great dash cam for taking scene photographs. You also won’t have to update anything to get the GPS configuration working when it’s used initially. The ToGuard Backup Camera features a touch screen that is easy to navigate and press. Unlike low-quality cams, there’s no need for you to frustratingly press the same button over and over to get a response from its computer. And when you turn it off, the device appears the same as any other rearview mirror, a perfect way to stealth and record. 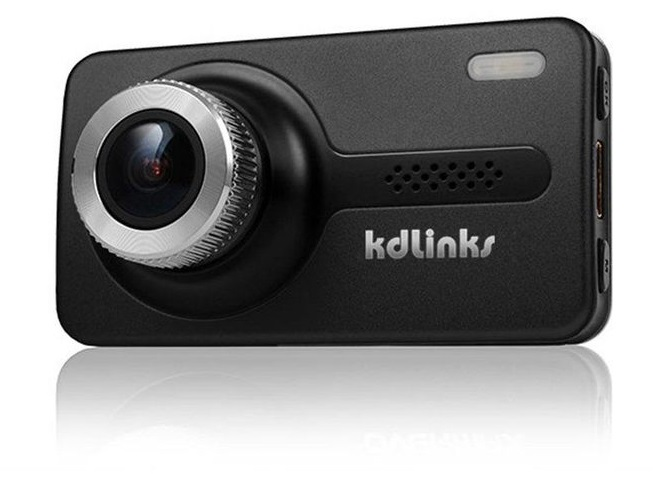 The Kdlinks X1 is the ideal camera for people that drive extensively on highways. It records with a very wide angle that will capture the entirety of a four-lane thoroughfare. Then there’s durability, to which the camera will work flawlessly in regions that receive intense heat or cold during the summer months. The KDLinks DX2 doesn’t feature GPS functionality but makes up for it in other ways. For one, there’s compatibility with other devices that do include the feature. And the video screen and very easy on the eyes, which makes it a good buy for anyone wearing dark sunglasses or a prescription pair. The Aukey DR-02 is recommended not only for people that appreciate of long warranty (this one’s up to two years) but long cords as well. If you’re driving a truck or SUV, you won’t find yourself in a situation where the wires won’t reach all the way to the front. There is no SD card included with the package though, so don’t forget to grab one before you check out this device. Recorder with Full HD 1080P, 6-Lane 170 ° Wide Angle Lens, Supercapacitor, G-Sensor and Clear Nighttime Recording. The Vava Dash Cam is another wide-angle camera that’s great for long distance travel. All nearby vehicles will remain visible, both during the day and night. You can even spin it for a 360-degree view if needed. Just don’t be surprised if the WiFi connection goes out sometimes, as the signal is often weak when paired with external devices. 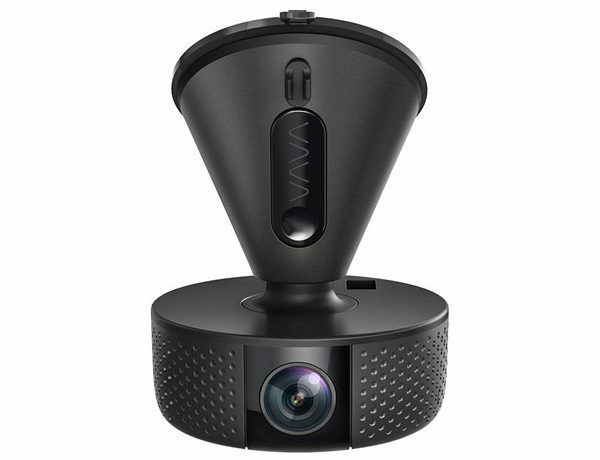 VAVA dash cam has a chip-shaped camera body, with a 32GB MicroSD card, 14-inch USB cable with inline GPS module, magnetic swivel lever, 12v car charger with a built-in battery capacity of 2,300 mAh, and a Snapshot button. The WheelWitness HD Pro’s responsiveness is a great way to save time when you need something that can navigate through its options quickly. And the video quality is superb. As it records, you’ll notice videos have no dropped frames or poor audio quality. And something, that’s all that one needs from the dash cam. 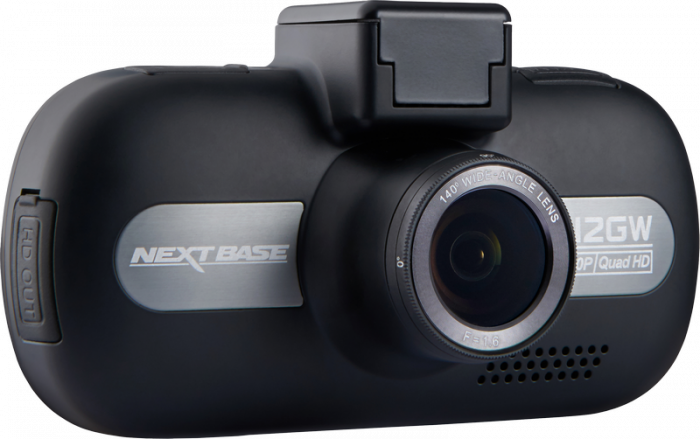 The NextBase 512GW is exelent choice. The WiFi signal is also something they brag about, particularly since you will almost never lose a connection when transferring files. You may experience buffering from time to time, but that’s to be expected when looking at videos over a resolution higher than 1080p. The NextBase 612GW continues with the trend of 4K pixel resolution but don’t buy it. This product is riddled with many problems and the maximum SD card size supported is only 128mb . The RoadHawk DC-2 finishes off the list by having an excellent quality and quality to accessories. There are even two mounting pieces included, so if get lost or damaged, swap it for the second. Video playback is optimal and won’t lag, and controls are intuitive for beginners to pick up from. The quality of dash cameras has improved exponentially over the past few years. They’re outfitted with lots of features that take into consideration the level of connectivity given to other external devices and software, such as smartphones and social media. Below are some quick tips that’ll help you narrow down the list of choices reviewed above. Unless you’re fine with 1080p, there are dash cams that offer higher picture resolution. But for others, such as people that frequently upload their interactions online, having a resolution that’s 2K or higher is a good idea. You should always try to watch sample footage of the camera if possible. This is because some Full HD dash cameras can still capture blurry videos. This is often abbreviated as FPS or frame rate. It is the number of images played back per second. The average frame rate is 30fps, but some cameras can offer 60fps. It is up to you to determine if you want a higher resolution or frame rate for your video. Most cameras that offer the 60fps feature usually allow you to switch between 720p @ 60fps, and 1080p @ 30fps. We recommend testing both settings to see what you want. For those that like to record their driving on the highway, try to look for a cam that has a wide field of view. You will be able to get all lanes of oncoming traffic within range of the camera itself. For those driving on roads, you might like this feature as well since intersections will be completely visible. The majority of cameras will offer a night vision mode. However, not all cameras can handle driving at night. For this reason, we recommend watching footage from the camera before you buy. WDR stands for Wide Dynamic Range and implies that the camera can handle bright and dark conditions and improve quality of freeze frame. All valuable cameras have a built-in Gravity Sensor which can detect sudden changes in direction and save any recorded video. It is very important to protect your accident recordings automatically. We recommend that you avoid cameras without a G-Sensor. This is because you cannot rely on pressing a button when an accident is ongoing. Most cameras will have different sensitivity for G-Sensors. It is best to experiment with your camera. As mentioned before earlier, most cameras will offer a kind of motion detection feature to protect your car when parked. When this is set, the camera will automatically start recording whenever motion is detected. Many people like to purchase dash cams that aren’t easy to see at a brief glance. This can be for a multitude of purposes. Regardless, look for brands with cameras that are small in dimensions if this is what you need. Memory Card may or may not be included with a dash cam. For you’re not sure, always check with the manufacturer to see what’s available. For the cameras shown in the reviews, refer to the comparison list for more information. And don’t forget about size compatibility as well. Some cameras can take Micro SD cards 128 gigabytes or higher while others will need smaller. Cord length is something that can be easy to overlook when you’re searching for a dash cam. This is especially important if you’re not planning on hardwiring your device to the vehicle. If you’re going to commence setup in this fashion, try to get DC adapters that will reach all the way to the very rear of your vehicle. Many dash cameras have GPS features. This feature can also allow you to see the details of speed, making it very useful as evidence. Some dash cam can create Wi-Fi hotspots, allowing you to download or stream video files to mobile devices. Although this sounds like a useful feature, the download speed is often very slow compared to PC transfers. The Path Departure Warning System is designed to warn drivers if their vehicle starts going off the track. This is a great feature to overcome the problem of fatigue while driving. It can be a savior, especially if you drive for long hours. This will detect if there is a possibility of collision with an oncoming vehicle and notify the driver. This will warn you if your speed is high. In general, the camera is used for protection and to provide genuine evidence when claiming your car insurance. However, there are many other reasons to get a dash cam. As explained earlier, recorded videos can be used to combat the increasing number of insurance fraud claims. There are still many people who try to fake accidents in exchange for compensation. Some people have been found to intentionally step on the brakes while driving to make a collision. This activity is very not justified and is usually difficult to prove without video recordings. However, you had an actual accident, and you had a dash cam, the recorded video will serve as evidence in your defense. The dash cam will help protect you from injustice on the road. Usually, dash cams need electric power to run via the 12v socket in your car. However, it works only if the ignition is on. As you may have guessed, some cameras have a feature called Parking Mode. This feature allows the camera to record when the ignition is turned off. The dash cam will be in a state of hibernation while the vehicle is parked. If any motion is detected, it will start recording. Do not use the parking mode of the camera if you will park your car in a hot place (above 40 degrees Celsius). The batteries can be popped due to heat. 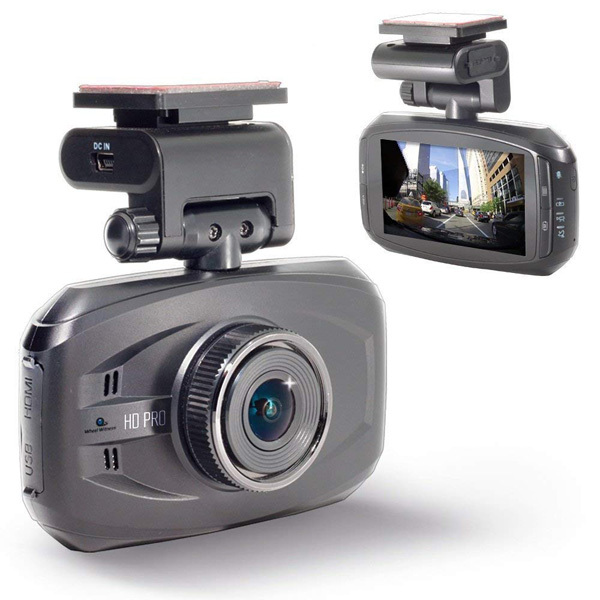 Dash cameras are a popular and safe way to record long and exciting trips. Whether it is the recording of beautiful mountains, roads, or documenting those unforgettable trips, dash cameras can provide high-quality recordings which you can share with friends. Car cameras are perfect for recording or documenting those unique and once-in-a-lifetime events. Many non-erasable videos such as meteor explosions, tornadoes, snowstorms, and landslides which were recorded with dash cameras have appeared on websites like YouTube and Facebook. Russian meteor explosion in 2013 recorded with dashcam. Dash cam recordings can help prove your innocence in the event of an accident, and avoid costly and painful court fees. Also, some insurance companies offer cheaper insurance if the driver agrees to install a dash cam. If you’re finished with the reviews, you probably have a good idea what dash cam you want already. But in the off chance that you don’t, there are two which earn top marks in quality and ease of use. The Garmin Dash Cam 55 and Vantrue N2 Pro Uber contain lots of features and basic controls, to the point where you can’t go wrong with either. But don’t give up on the others as well! If you want something that the first two don’t offer, then consider the other 13 reviewed. No matter which dash cam you end up with, you’re sure to enjoy it and admire the added security they inherently bring to motorists across the globe.